Get alerted immediatley when new investment properties are for sale in Norfolk. Caravan site and stable block / Investment land approx 1 acre. Possible building plot. Indian Takeaway For sale Kings Lynn Area. Golden Opportunity And Great Investment. Enter the email your Rightbiz account is linked with and you will recieve an email with your password. Don't have a Rightbiz Account? You have successfully created an email alert. 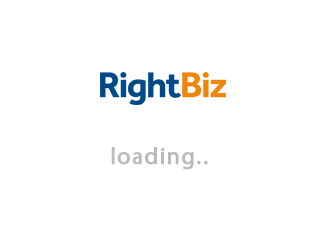 Any business seller you contact on Rightbiz will receive the following info: your name, email, contact number and address. Have a question or request? Fill in the contact form below and a member of the Rightbiz Support Team will get back to you as soon as possible. Your question/request has successfully submitted. A member of the Rightbiz Support Team will handle your message shortly, please allow up to 48-hours for a response via email. Thank you for your patience. © 2018 Rightbiz Ltd. Company No. 07315996 is a company registered in England and Wales. Rightbiz Ltd, 3rd Floor, 207 Regent Street, London, W1B 3HH. Prices shown are exclusive of VAT. VAT No. 161 7513 19. All Rights Reserved.